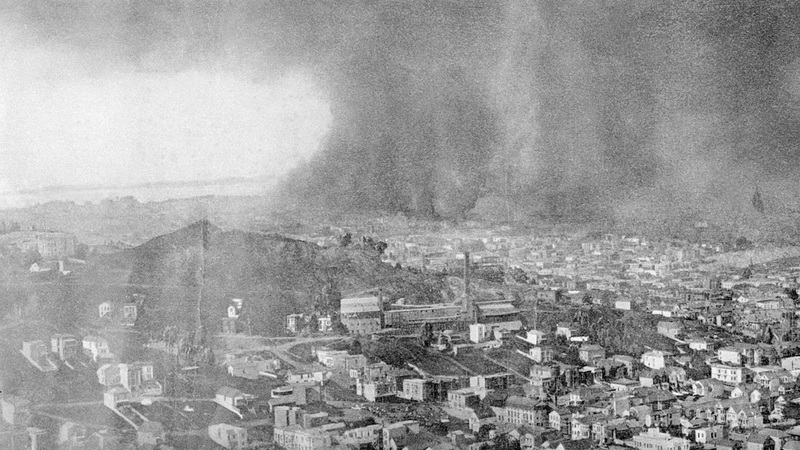 On April 18, 1906 at 5:12am, one of the most devastating natural disasters in American history left San Francisco in ruins. 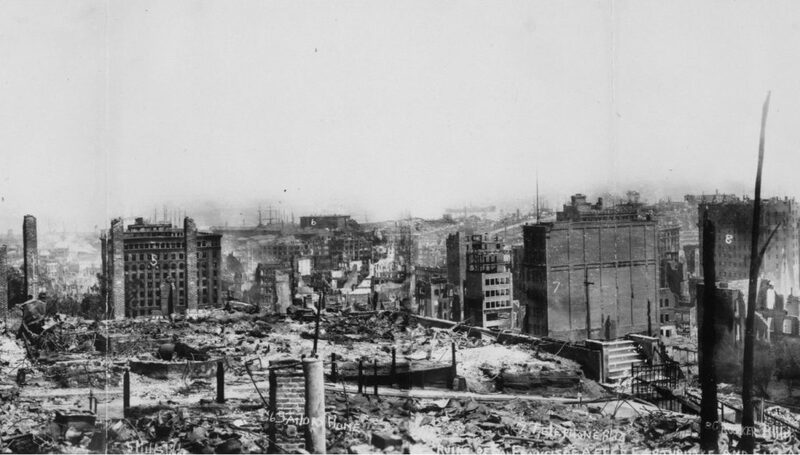 The 7.8-magnitude earthquake and the fires that it caused destroyed 80 per cent of the city, killed over 3,000 people and left another 250,000 homeless — 62.5 percent of the population at that time. These panoramic images offer a rare and unique glimpse of the historic catastrophe. 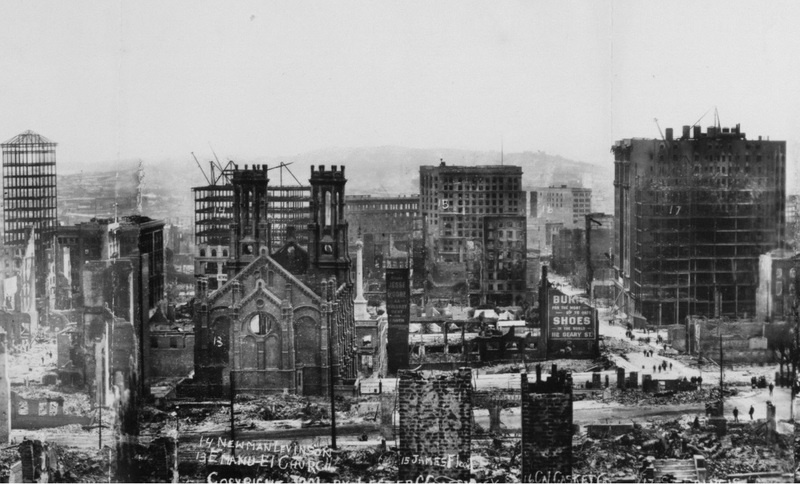 The quake broke gas lines which ignited countless fires that raged for four days across 490 city blocks. 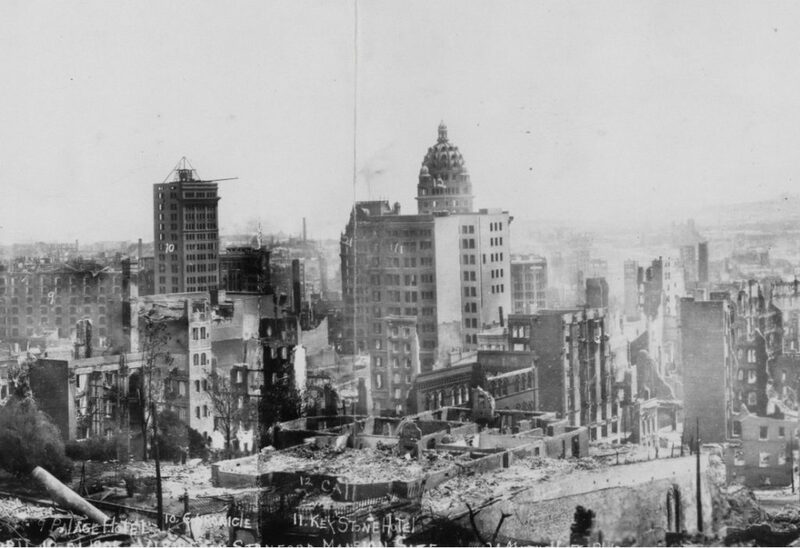 The earthquake erupted from the San Andreas fault along a total of 296 miles. It was reportedly felt up in Oregon, down in LA, and as far inland as central Nevada. 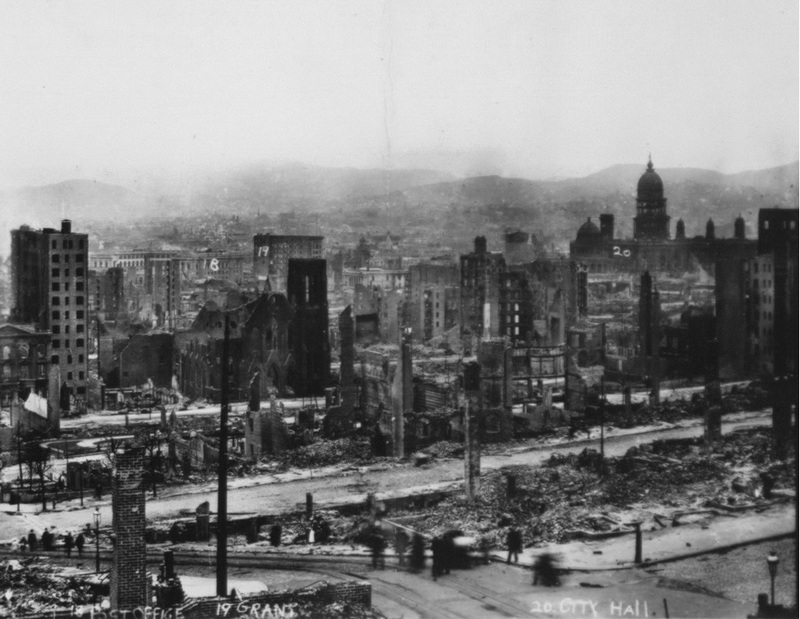 The event destroyed 28,000 buildings in San Francisco and caused some $400 million in damage. Adjusted for inflation that would nearly $9.8 billion today. 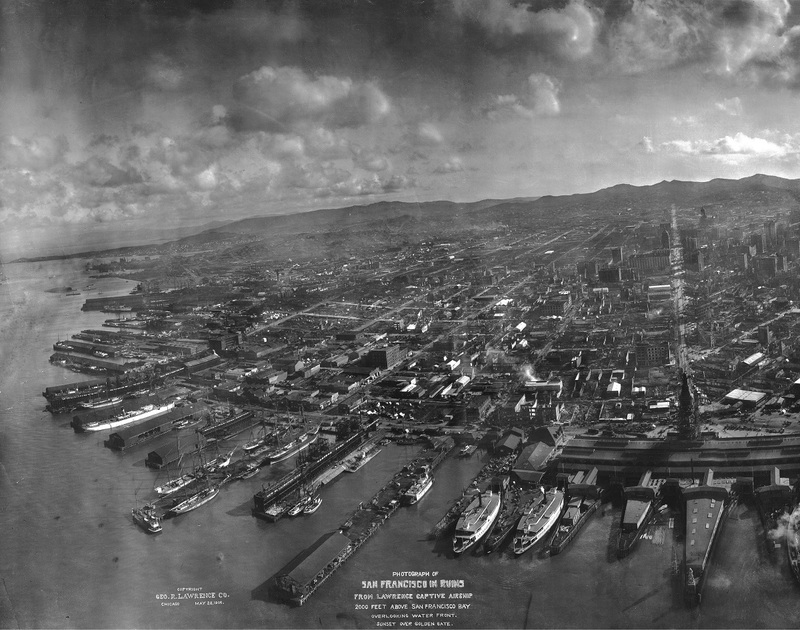 To the far right of the panoramic photo (the close up immediately above) you can see the burned out skeleton of the original city hall building. 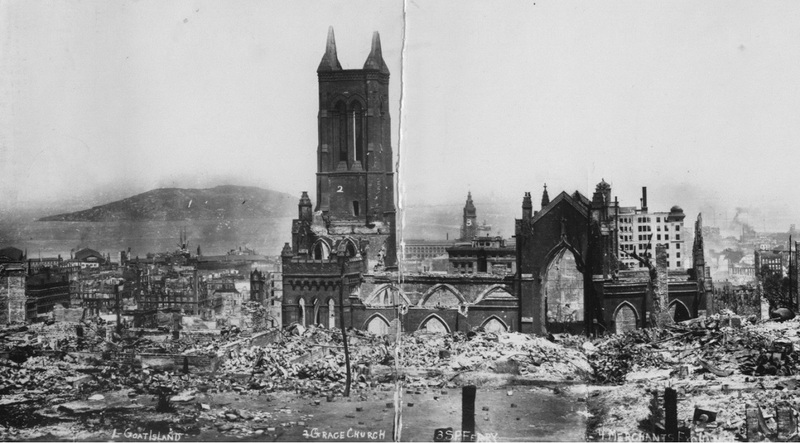 Sherith Israel, a synagogue built in 1805, was spared from the earthquake and fire. It served as a temporary city hall. 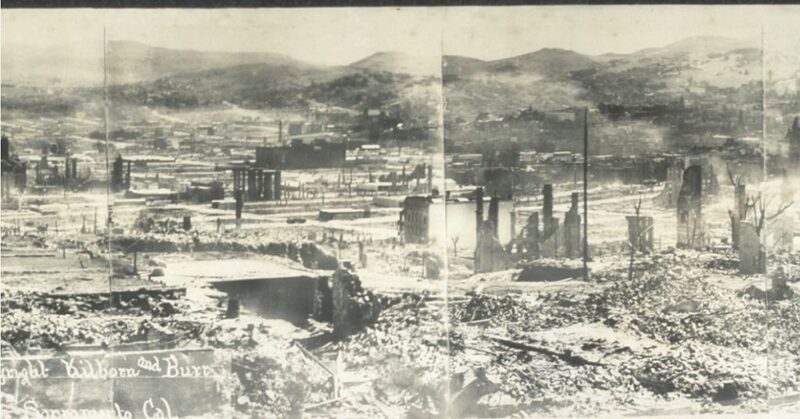 The above image was taken about six weeks after the earthquake by commercial photographer George R. Lawrence. 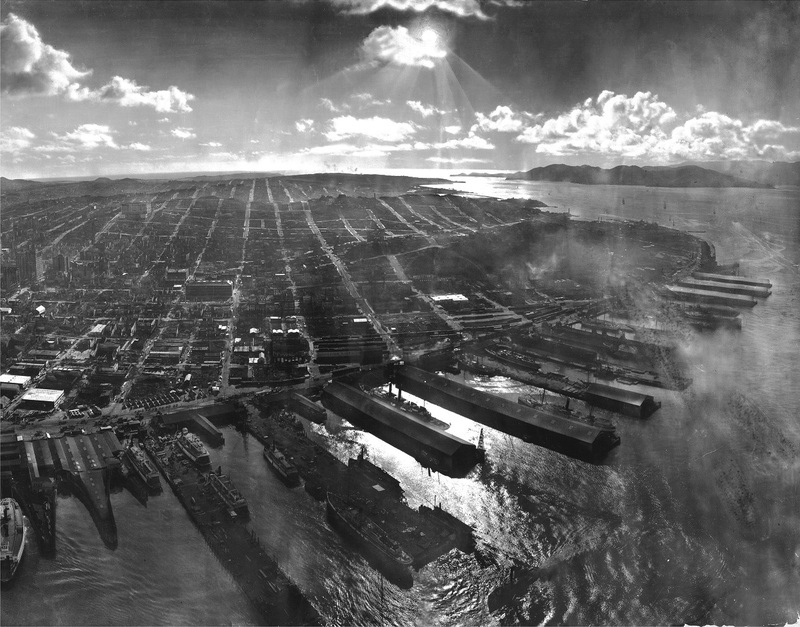 To capture the stunning image, Lawrence fastened a 49-pound camera to a kite that flew 2,000 feet in the air. With a single print going for $125, Lawrence reportedly made $15,000 off the image, which would be worth about $393,722 in 2015.